Glenn Greenwald: “Shameless” U.S. Officials Exploit Paris Attacks to Defend Spying & Attack Snowden | Democracy Now! NERMEEN SHAIKH: French authorities say the alleged mastermind behind last week’s Paris attacks has been killed. Abdelhamid Abaaoud, a Belgian national, is said to have died in Wednesday’s police raid on an apartment in the Paris suburb of Saint-Denis. The operation sparked an intense shootout and one other death—a female suicide bomber who detonated an explosive vest. Police say they confirmed Abaaoud’s death through forensic tests on his remains. The news comes as Belgian police conduct raids across Brussels in the hunt for Paris attack suspects. Belgium says the raids are targeting people who may be connected to Bilal Hadfi, one of the alleged suicide bombers involved in Friday’s attack on France’s national stadium. As the manhunts unfold, the governments of France and Belgium are each pushing a major expansion of state power in the attacks’ aftermath. French lawmakers have begun debating President François Hollande’s proposal to extend the state of emergency by three months. Hollande is also seeking the authority to allow police raids without a warrant and to strip citizenship from dual passport holders convicted of terrorism. AMY GOODMAN: And in Belgium, Prime Minister Charles Michel has asked Parliament to approve a sweeping security bill that would double the antiterrorism budget, expand wiretaps, triple the allowed detention time without charge to 72 hours, and grant authorities the power to shut down mosques that preach messages deemed by the government to be hate speech. Here in the U.S., top officials have seized on the Paris attacks to defend mass surveillance and to dismiss those who challenge it. Speaking at a cybersecurity conference Wednesday, FBI Director James Comey said intelligence and law enforcement officials need to have access to encrypted information on smartphones. JAMES COMEY: Nearly all the information we need to be effective sits on the private sector’s infrastructure, which is a great thing. It’s a wonderful thing that the Internet is in private hands in the United State. The expertise resides within the private sector. So if we’re going to be good at what we do, we have to cooperate better. In the absence of effective cooperation, we are left in law enforcement like police officers patrolling a street with 50-foot-high walls on either side. For more, we’re joined by Glenn Greenwald, Pulitzer Prize-winning journalist, co-founder of The Intercept, lead journalist who exposed NSA mass surveillance based on Edward Snowden’s leaks. Let’s start, Glenn—and it’s great to have you with us from Brazil—let’s start with how we know what we know took place in Paris, the media coverage of the horrific attacks of Friday the 13th. GLENN GREENWALD: [inaudible] that we don’t know, including much of which the media has simply tacitly assumed in order to mindlessly propagate what the CIA and other agencies in the U.S. government want people to believe. For instance, one thing we do not know at all is how the people who perpetrated the attack actually communicated with one another. We don’t know whether they used the Internet at all, as opposed to simply meeting face to face, given that some of them were siblings and others of them were from the same neighborhoods in Belgium and France. We definitely don’t know whether they used encryption. And we really don’t even know the extent to which they actually took direction from or received funding or arms from ISIS in Syria. And so, there’s been this whole propaganda campaign to try and demonize encryption, demonize the Silicon Valley companies that have been providing it, such as Apple, Google and Facebook, and, of course, to demonize Edward Snowden and the journalists who work with him for supposedly teaching the terrorists how to use encryption. There are so many reasons why that claim is deceitful and false, and we can talk about those, but one of the most glaring omissions from the entire discussion is that nobody even has any idea whether the terrorists in this attack used encryption at all. And it really just shows you the extent to which propaganda is so easily circulated by the U.S. media in the wake of an attack. NERMEEN SHAIKH: Well, earlier this week, CIA Director John Brennan invoked the Paris attacks to defend mass surveillance. 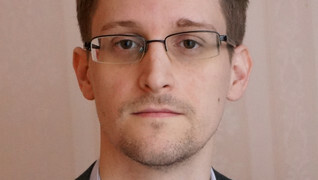 In apparent reference to disclosures by NSA whistleblower Edward Snowden, Brennan suggested revelations about mass spying have made it harder to find terrorists. JOHN BRENNAN: In the past several years, because of a number of unauthorized disclosures and a lot of handwringing over the government’s role in the effort to try to uncover these terrorists, there have been some policy and legal and other actions that are taken that make our ability, collectively, internationally, to find these terrorists much more challenging. NERMEEN SHAIKH: That was CIA Director John Brennan. Glenn Greenwald, could you respond to what he said and also to how the media has covered Brennan’s comments? GLENN GREENWALD: We have not heard such blatant, shameless lying from intelligence and military officials since 2002 and 2003, when they propagandized the country into invading Iraq based on utterly false pretenses. It is actually shocking to listen to John Brennan say that. And, in fact, the proof of just what a liar he is, is the fact that yesterday The New York Times editorial page, which is usually very constrained and very establishment-oriented, published an editorial that was remarkable in terms of the rhetoric it used, in which it called what the CIA is doing in terms of exploiting the Paris attacks a “new low” and “disgraceful.” And it also pointed out that John Brennan, the head of the CIA and Obama’s closest national security aide, is a pathological and an inveterate liar. And it detailed all the ways that he has been lying to the public about numerous issues for many years, and said, how can anyone possibly believe a word that comes out of his mouth? As far as the specific claim that he just mentioned goes, there are so many reasons, so many obvious, clear, evidence-driven reasons why what he’s saying is utterly false. To begin with, think about how many large-scale mass terrorist attacks were successfully perpetrated long before anyone knew the name Edward Snowden. You had the 2002 bombing of the nightclub in Bali, the 2004, 2005 attacks on the trains in Madrid and London, you had the 2008 mass shooting spree in Mumbai, you had the April 2013 attack on the Boston Marathon—all of which were successful multi-terrorist plots carried out without the U.S. detecting them, long before anyone knew the name Edward Snowden. So, if you’re somebody who wants to blame Edward Snowden or the disclosures for this attack, you have to answer: How did all those other attacks take place without the CIA or the NSA discovering them? And the answer is very obvious. The answer is this: Terrorists have known for decades that the U.S. government is trying to read their emails and listen to their telephone calls. They didn’t need Edward Snowden to tell them that. They’ve always known that. And they’ve known how to use sophisticated encryption. We have articles that we found going back to 2001, February of 2001, before the 9/11 attack, where the FBI is saying Osama bin Laden and al-Qaeda use extremely sophisticated encryption in order to prevent us from spying on what it is that they’re saying and what it is that they’re plotting. You can even go back earlier, to the mid-1990s. After the McVeigh attack in Oklahoma City, the Clinton administration said we need to get backdoors into encryption because terrorists are using these to prevent us from knowing what they’re saying. So, there’s a huge mountain of evidence that shows that long before Edward Snowden came along, terrorists have been using really sophisticated encryption, because they know that the U.S. government is trying to spy on them. And then, the final point I would make about what Brennan said is that the reforms that he is complaining about and trying to imply are what caused them to be blind and not find the Paris attack, these legislative reforms, aside from the fact that they’re incredibly mild, two critical points about these reforms that prove that what John Brennan is saying is a complete and total lie. Number one, the reforms that the Congress implemented after Snowden pertained only to domestic metadata collection, and not remotely to their ability to spy on foreign nationals on foreign soil. So there have been zero restrictions, in the wake of the Snowden revelations, on their ability to listen to people in France or Belgium or Syria or anywhere else outside of the United States. Secondly, the reforms that he’s talking about haven’t even started yet. They’re not in effect. The Congress passed the metadata reform bill, but it hasn’t yet been implemented. They’re still collecting metadata exactly as they were three, four, five, six years ago, before Edward Snowden ever emerged. So nothing has changed in terms of their ability to spy on al-Qaeda or spy on ISIS or spy on anybody else. What really is happening here—and this, to me, is the absolutely critical point—is that there are all sorts of ways that the U.S. government itself bears responsibility for strengthening ISIS. They have armed and funded groups in Iraq and Syria that ended up in the hands of ISIS. Just today, four whistleblowers from the U.S. Air Force, in The Guardian, said that a major recruiting tool of ISIS is Obama’s drone program. Going around the world and killing Muslims drives people into the arms of ISIS. The closest U.S. allies in the world—Saudi Arabia and United Arab Emirates and other Gulf tyrannies, Qatar, too—have been funding ISIS more or less directly. And even the U.S. government itself admits this. And then, on top of that, you have these agencies, like the CIA and the NSA, that have received tens of billions of dollars every year, and they have only one goal, only one mission. Their mission is to find people plotting terrorist attacks. And in the case of Paris, they profoundly failed at their job, and 129 people ended up dead as a result. So if you’re John Brennan or other Obama national security officials or the head of the NSA, of course you want to go around and blame everybody else for your own failures. You want to be able to tell the world, “Don’t look at us for having failed in our job to find these terrorist attacks. Blame Edward Snowden, or blame Facebook and Apple, or blame the journalists who reported on this secret mass surveillance programs we implemented.” That’s what’s really going on here. And you’ve heard almost none of what I just said in most media discussions, because what most journalists are doing is simply mindlessly repeating what government officials tell them to say, without any questioning, without any contrary evidence being presented, exactly like they did in the run-up to the Iraq War. NERMEEN SHAIKH: Well, Glenn Greenwald, I want to ask you about the New York Times editorial. Your piece is headlined, ”NYT Editorial Slams 'Disgraceful' CIA Exploitation of Paris Attacks, But Submissive Media Role Is Key.” So, could you talk about what you think accounts for the editorial board taking a line that the other media has not mimicked? GLENN GREENWALD: Well, I mean, I think one of the things that’s motivating it is that The New York Times itself published many, many Snowden documents. And this is a really important point. You have all these people who are saying Edward Snowden is to blame for the Paris attacks, even saying that he has blood on his hands, because of what he revealed to the world. And there’s a huge amount of cowardice taking place with the people who are saying that. And the reason is this: Edward Snowden himself did not reveal a single document to the public. Not a single document. He could have. He could have uploaded them to the Internet. He could have made them public in other ways. He didn’t. He came to journalists, to leading media outlets around the world, and said, “I’m not the one who should be making decisions about what the public sees. I want you—you, the editors and journalists at the leading newspapers and media outlets in the West—to make the decision about which of these documents should be published.” And it is the leading media outlets in the West—The New York Times, The Washington Post, The Guardian, Der Spiegel, NBC News, The Huffington Post, Le Monde in Paris, El País in Spain—all of the leading media outlets in the West and beyond—The Hindu in India, Globo here in Brazil—that made the choice to reveal these documents to the world and chose which documents specifically should be revealed. So, if you have the courage of your convictions and want to say that what caused the Paris attacks is not the failures of the U.S. government or not the drone program or not ISIS, but rather the people we should blame are the ones who made these documents available, if you had the courage of your convictions, you would say the people who are to blame for the Paris attacks and the people who have blood on their hands are the top editors at The New York Times, The Washington Post, The Guardian, ProPublica, NBC News, Der Spiegel, etc. Nobody is saying that. None of these journalists who are blaming Snowden or none of these think tank experts who are blaming Snowden are saying that, because they’re total cowards. They don’t want to blame the media outlets for making these documents available to the public, because they’re petrified of losing their media access or because of craven careerism. They don’t want to criticize the heads of these media organizations, because they’re afraid of what impact that might have on their reputations or on their future career prospects. So they try and dump all the blame on Edward Snowden. The reality is, though, that it is these leading media outlets that published these documents, and so The New York Times editors, who not only work at the paper that published a lot of these documents, but they also have been defending Snowden for the last two years. They were the first establishment outlet to actually call for amnesty to be given, full amnesty to be given to Snowden. So, I think that The New York Times understands how odious and disgusting and dangerous it is for the U.S. government to try and blame journalism and whistleblowers and transparency for their own failures, and try and shift blame away from themselves. The problem is, is that there are a lot of journalists in the United States who, as we all know—anyone who lived through the Iraq War knows this—who have used their role in life as being mindless servants to military and intelligence officials in the U.S. government. And their careers, in their view, are advanced when they kneel down and crawl on their hands and knees over to these officials and get whispered into their ear what they’re supposed to say, and then they go and print it. So there’s are all kinds of journalists, in all sorts of media outlets—in Yahoo News, in The Daily Beast, in Politico, over and over, and even in The New York Times and The Washington Post—who are just mindlessly asserting that the reason the Paris attacks happened is because of encryption and Edward Snowden, even know there’s all sorts of reasons to understand, as The New York Times pointed out, that this is a disgraceful lie. And they do that because that’s their role: They are spokespeople for those in power, rather than watchdogs over them or adversarially scrutinizing them. AMY GOODMAN: Glenn Greenwald is the Pulitzer Prize-winning journalist. One of his recent pieces for The Intercept is headlined ”NYT Editorial Slams 'Disgraceful' CIA Exploitation of Paris Attacks, But Submissive Media Role Is Key.” We’ll continue our discussion with him for the hour in a moment. Stay with us.